← Can teens learn from Social Networks? 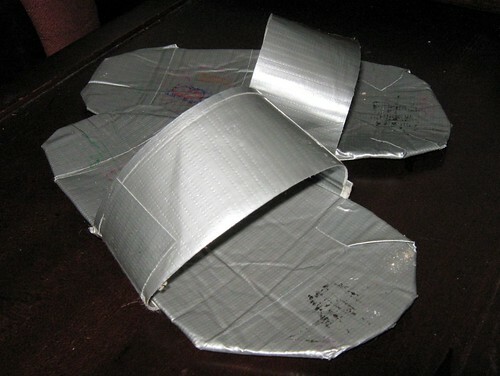 This entry was posted in My Kids and Family, Silly and Fun, Uncategorized and tagged Duct tape, Flip-flop. Bookmark the permalink. Well at least a tie! 😉 Which would be pretty geek cool. Man, it's like the skinny faux-leather ties of the 80's never left. Nice idea! 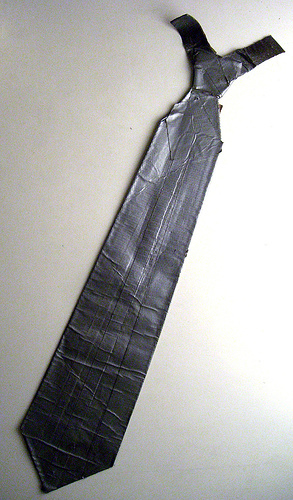 How about a tie made of duct tape too so that it would match. Imagine…Duct tape togas. That could be painful.